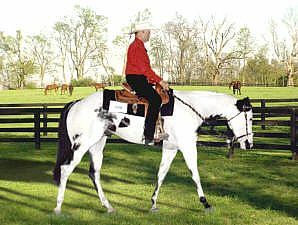 Here are the horses we have for sale at Pipestone Paints. We have been breeding for approx 20 years and have culled our mares down and only the best crosses remain. So if you are looking for a new prospect, for any disipline, I am sure that we will find something to suit your taste. We appreciate it when you can visit the farm, see the Sire, the Dam and the prospect in question. You can then compare one to the other or make a personal connection. Lucky Diamond Chip has double registry in APHA & AQHA so some of our foals are able to compete on both circuits. We do enroll in both incentive programs for your benefit. We also enroll our stallion into the local club futurities to allow you, the owner, more opportunity to earn some added income. Lucky Diamond Chip offspring will give you conformation, excellent disposition and talent. We will answer all inquiries you may have.